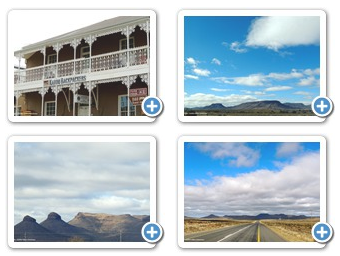 N12 treasureroute.com is a web site about N12 Treasure Route North West provided by Crusse Trade Enterprises c.c. Your access and use of the web site is subjected to your compliance with the terms and conditions set forth below, including all exhibits here to. You should examine this document carefully before accessing or using this web site. By accessing or using this web site, you are to be legally bound by the terms and conditions set forth below, and you are not allowed to access or use this web site should you not be bound by these terms and conditions. The Agreement may be modified at any time, and any such modification shall be effective immediately upon posting of the modified agreement. By your access and use of this web site you agree to periodically review this agreement and shall be conclusively bound by any such future modifications. Although N12 treasureroute.com endeavors to provide accurate, up-to-date information to our clients, N12 treasureroute.com shall not be responsible for any mistakes, omissions, interruptions or delays with regard to the content or any damage resulting from it. Neither N12 treasureroute.com nor the people related to it make any representations or give any warranties, whether expressly, tacitly or implied, as to the operation of the site, the information, content, materials and products included and available from this site. N12 treasureroute.com, and the people related to it will not be liable for any damage of whatever nature arising or resulting for the use of or inability to use this site or information contained here on, including but not limited to direct, incidental, punitive and consequential damage. All the content on this site, including text, graphics, logos, icons, designs, colours, layout and trademarks are the intellectual property of N12 treasureroute.com and its associates or licensed to N12 treasureroute.com and as such protected by South African and International Intellectual Property Law. N12 treasureroute.com will keep all personal information confidential and no personal information will be made available to third parties, unless obliged to do so by law or legal process. N12 treasureroute.com may send e-mail messages to our customers with news and special offers and users may, by return mail, indicate whether they would prefer not to receive any such mail in future. The web site contains content provided by third parties and hyperlinks to other sites. N12 treasureroute.com does not accept any liability for defamatory, illegal or criminal content contained on those sites. We encourage our users to report any infringement, illegal or criminal content found on any of the sites available through links from this site in order to investigate whether such a link should be removed. N12 treasureroute.com reserves the right to make changes to this web site and this user agreement at any time without notice. The content and material of the web site N12 treasureroute.com are the property of Crusse Trade Enterprises cc This includes all text, images, logos, button icons, applications and the compilation of this content. The content and software on this site are the property of Crusse Trade Enterprises cc Or it's Software Suppliers. This content may be used as a shopping, selling or general resource. Other use of this content, including reproduction, modification, distribution, transmission, republication, display, or performance is strictly prohibited. The site N12 treasureroute.com may contain links to other third-party web sites with their permission. Crusse Trade Enterprises c.c. does not accept responsibility for any of the content that may be available on those sites.